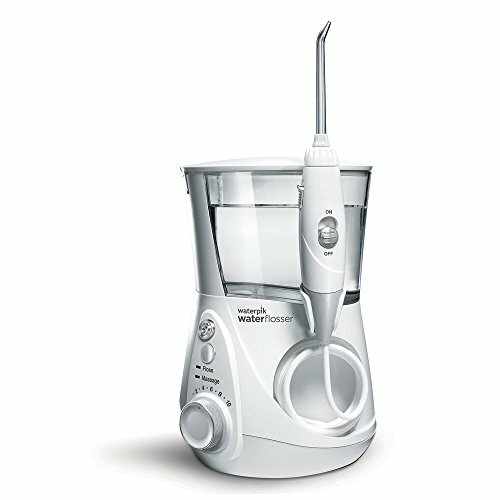 The Waterpik Aquarius Designer Series is the Easy and More Effective Way to Floss! Now available in four unique colors, with upgraded features and a satin chrome finish. It's the perfect way to add a little color to your life! The Aquarius Designer Series includes on/off water control on the handle, an LED information panel, 7 water flosser tips, and an all-new tip storage case. New pulse-modulation technology gives you customized water pulsation for the best possible cleaning with even more comfort. It provides maximum plaque removal (Floss Mode) and enhanced gum stimulation (Hydro-Pulse Massage Mode). The convenient 1-minute timer with a 30-second pacer ensures thorough water flossing of all areas.